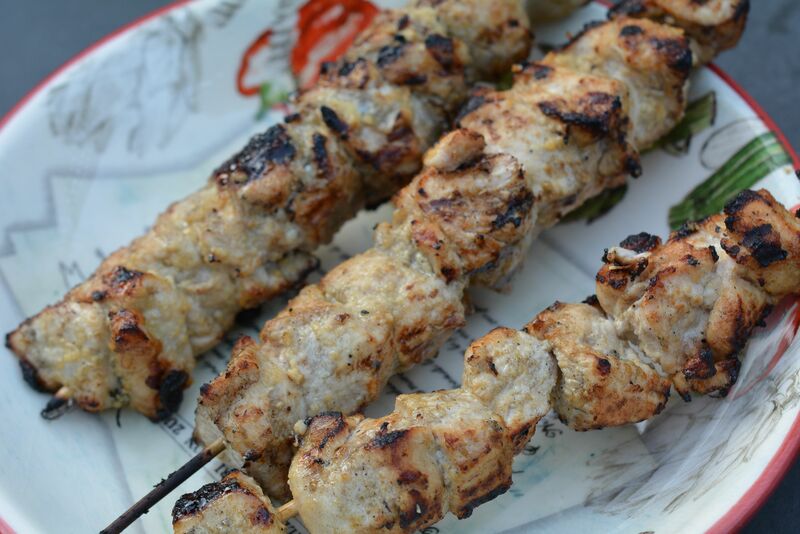 Chicken skewers are one of the best things to make on the grill. They are endlessly adaptable and will easily please both my kids and us adults as well. It is so much easier when you only have to grill one food for everyone! Making these lemony garlic rosemary chicken skewers is a snap, too. I like to work on the marinade and chicken in the morning when the house is quiet. It is a potent marinade, full of garlic and fresh rosemary, and giving it the day to marinate really helps the flavor infuse into the chicken. Also, it means that dinner is ready to be cooked once you get back home from your busy day. Pair these with some perfect grilled vegetables and a pot of rice, and dinner is served! This marinade infuses during the day, and by evening, you can get them from the fridge to the table in less than 10 minutes. Step 1: Divide the chicken cubes evenly among 8 large skewers, leaving a little space between the pieces. Place them in a shallow baking dish or heavy-duty plastic bag. Step 2: In a large bowl, mix together the lemon zest and juice, garlic, olive oil, salt, and red pepper flakes. Mix well. Add the juiced lemon halves and rosemary. Pour this mixture over the chicken and turn it a few times to evenly coat. 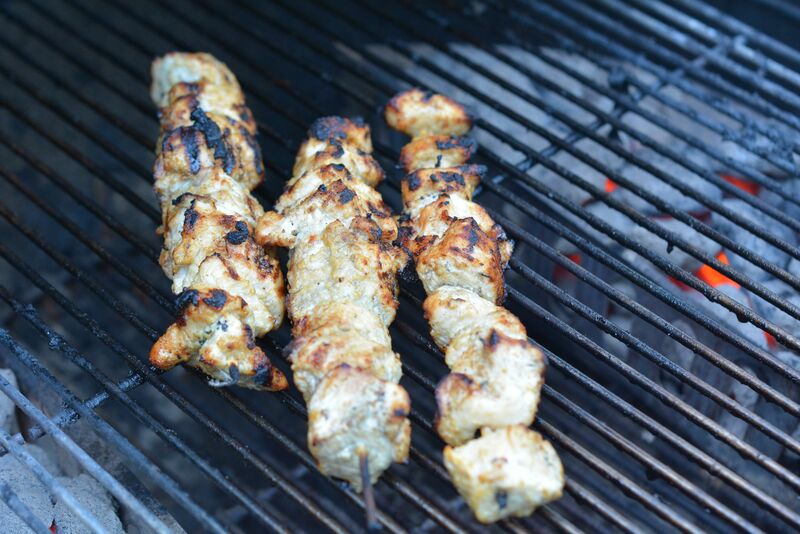 Allow the skewered chicken to sit, refrigerated, in the marinade for at least 4 hours, or up to overnight. Step 3: Bring the grill or a grill pan on the stove to medium heat and cook the skewers directly over the heat for 6 to 8 minutes, rotating the skewers as you go to ensure even cooking. Once the chicken is cooked through, transfer it to a platter and allow to cool before serving.